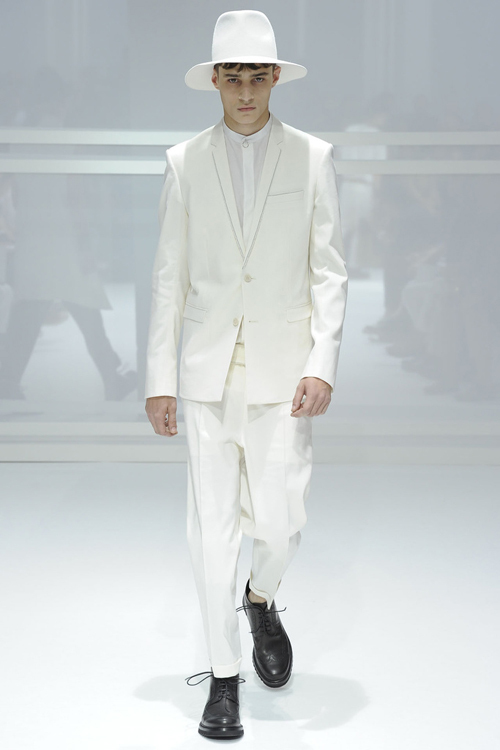 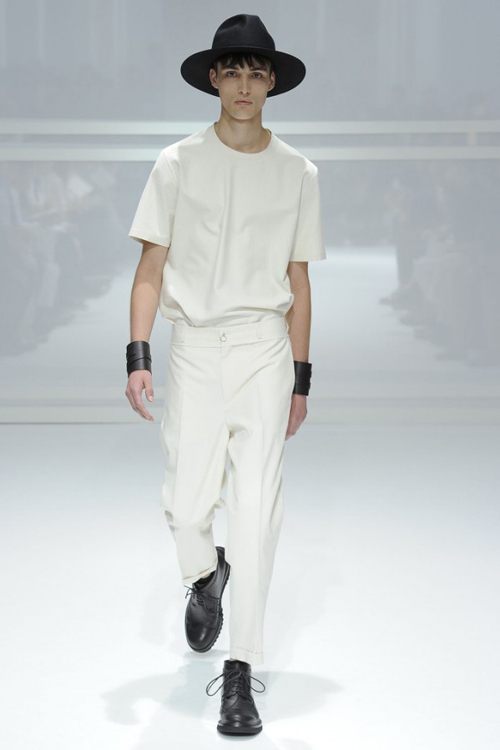 Kris Van Assche presented another beautiful men’s collection for Dior Homme. 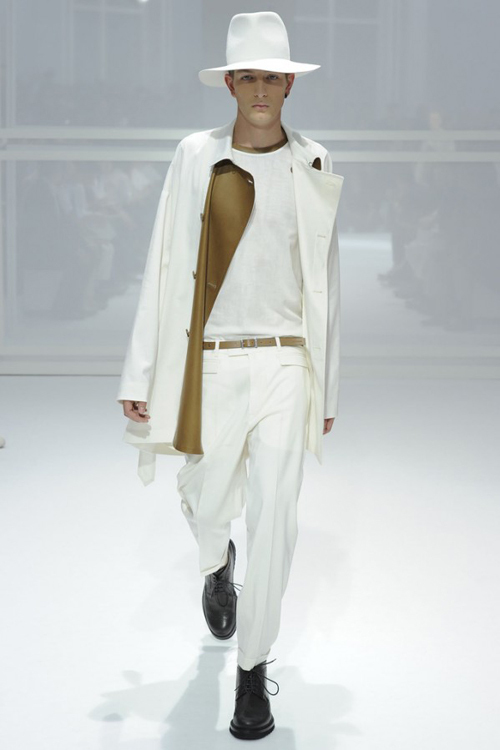 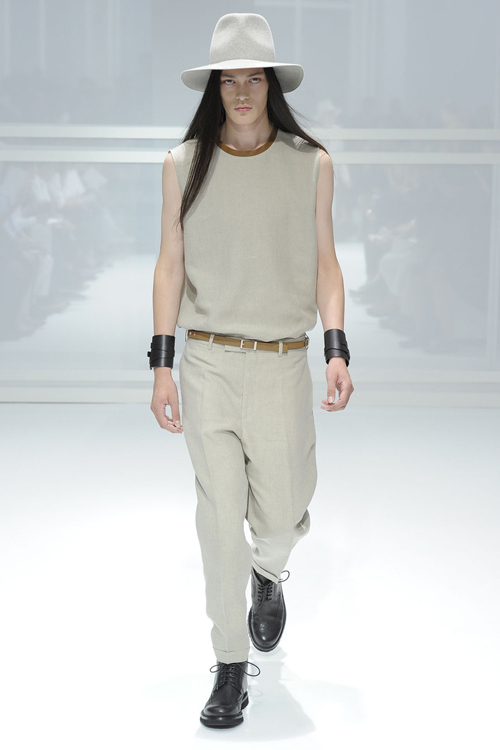 Spring / Summer 2012 is upright and stylish, as I’d see Japanese men in Tokyo’s tube – even in the hottest of summer’s days. 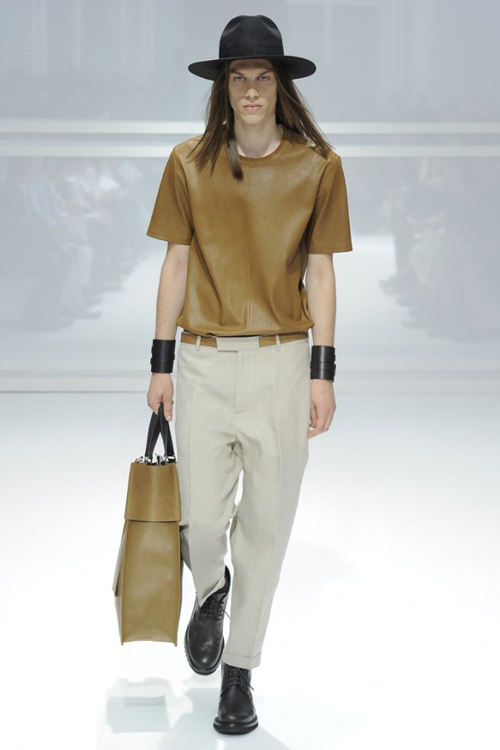 Wide trilbies make a statement underlining the casual cool while leather detailed collars blazon the otherwise plain outfits in demure colours. 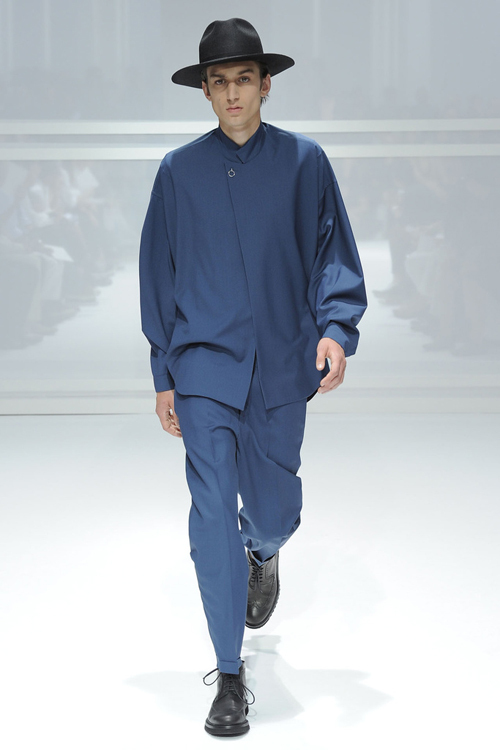 I’d so go out with you, Monsieur Dior Homme. 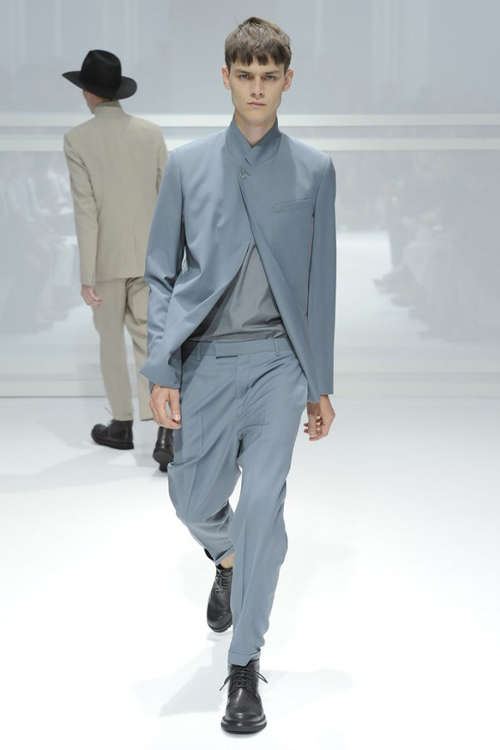 Backstage at Dior Homme Spring / Summer 2012 show.